Five important royals who didn’t ascend the throne…. Would these be your five? Or do you have other suggestions? PS Who can spot their deliberate mistake? The Black Prince did NOT kill 3000 at Limoges…. 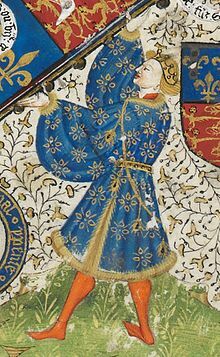 In this article, about revising the reputation of Edward of Woodstock, the Black Prince, I wrote of the 2017 biography of the prince by Michael Jones, in which an undoubted stain on the prince’s memory was reconsidered. The prince apparently ordered the sack the city of Limoges, and slaughter of at least 3,000 inhabitants. This number, and the incredible accompanying cruelty, was reported by Froissart, who wrote later of course, and may have had a hidden agenda for blackening the prince’s memory. Whatever his purpose, blacken it he certainly did. Anyway, the Jones biography mentions evidence in the form of a newly-unearthed French chronicle which reveals the French themselves to have been guilty of what happened at Limoges. See also here for another review of the Michael Jones book, which is now available in paperback. I have been rambling around on Google, looking for something else, and have come upon this article which reveals that a French historian, Dr Guilhem Pepin, had discovered in a Spanish archive, a letter (illustrated top above) written by the prince himself, explaining what happened. This letter demonstrates that a maximum of 100 French soldiers and 200 French citizens perished at Limoges. A far cry from 3,000. In the meantime I am left with the thought that Froissart did to the Black Prince what all that Tudor propaganda did to Richard III. Michael K. Jones‘ latest investigation, into Edward the Black Prince, was featured on BBC1’s “Inside Out” South-East, a half-hour regional magazine programme consisting of three repo rts of which this was the last one. 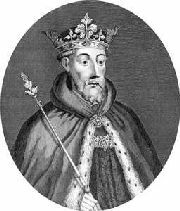 As Jones explained, the neutron blaster is not a weapon used at the 1356 battle of Poitiers but for present day scientific tests that Oxford’s Rutherford-Appleton Laboratory is conducting on the helm that formed part of his “achievements” at his tomb in Canterbury Cathedral, to discover whether this whether it was an ornament or actually associated with the Prince in his lifetime. Apart from Jones and some scientists, Tobias Capwell was also featured in the ten-minute segment. It also quoted Froissart to explain how the teenaged Prince had fought at Crecy ten years earlier, where King John of Bohemia was among the casualties. A book on Medieval warfare, not only Renaissance…. Um, I don’t think Edward III and the Black Prince are Renaissance, but the book might be interesting. Perhaps it more concerns the build-up to Renaissance warfare?